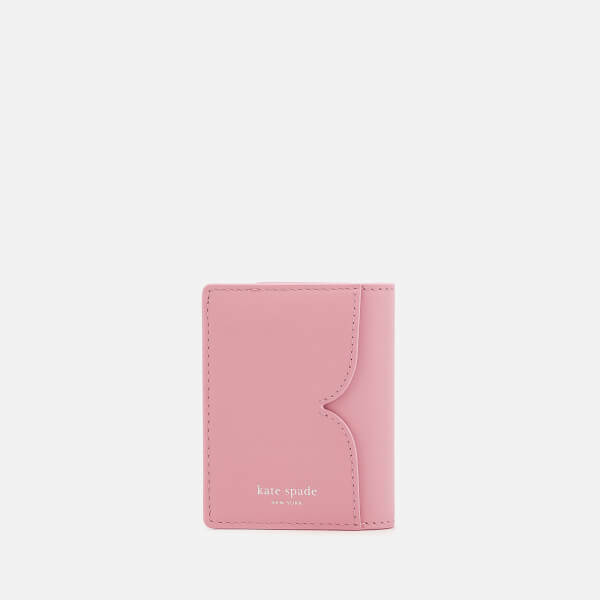 Kate Spade New York card case from the playful ‘Spademals’ collection, which have details inspired by the curves of the spade. 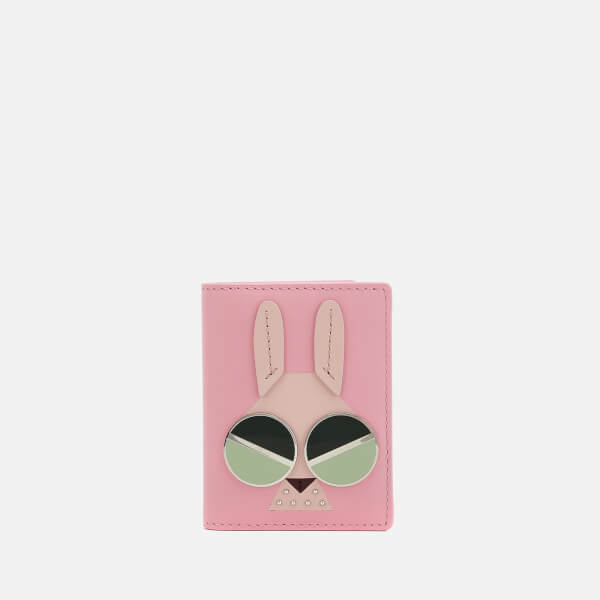 Crafted from smooth Italian leather in light pink, the bifold cardholder is designed with a playful ‘Money Bunny’ appliqué on the front which features gold-tone eyes and faux pearl embellishment. 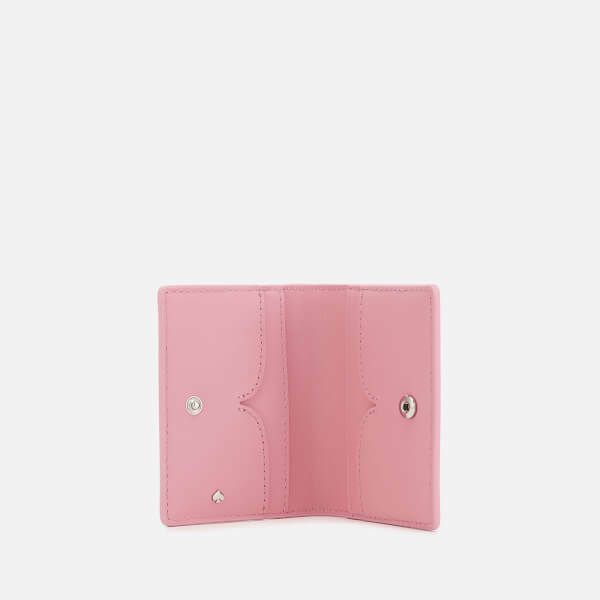 Secured with a snap button, the interior is detailed with four card slots and a gold-tone spade logo. 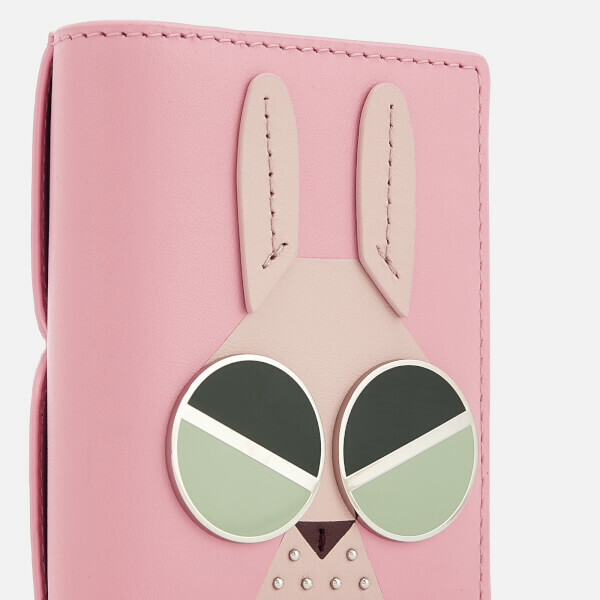 A gold-tone foil logo and card slot on the reverse completes the compact design.